We had a fabulous time at Murphys in Calaveras County on June 8, 2012 from 9am-3pm with the Calaveras Child Care Council. We talked social media and nonprofit communications for a day filled with lots of local stories, introductions to Twitter, and fun activities ;). Below are the materials from the day. Please use and share as you like! Who doesn’t like waking up at 6am to travel to beautiful and exotic Sacramento to start off their week? That’s just what Matt, Misty and Jessica did on Monday, May 14, 2012 and we enjoyed every moment of the visit together to meet with the South Sacramento BHC Hub and our partners, Zero Divide. 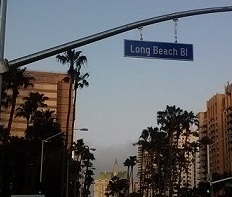 On May 7th, we flew to Long Beach to meet with the Building Healthy Communities of The California Endowment. We were introduced to the BHC Hub Staff Rene and Ana, Program Manager Jenny, and the communications committee Chris, Amelia and Sonya. Wow, what an amazing group of people! In February, Matt, Misty and Jessica traveled to Los Angeles to meet the Building Healthy Communities (BHC) Hub media coordinators for a 2 day convening. BHC is a 10 yr initiative from The California Endowment (TCE) to improve the health of 14 communities across California. In 2011-2012, Zerodivide and Aspiration partnered to provide statewide technology capacity building support to the BHC communities. 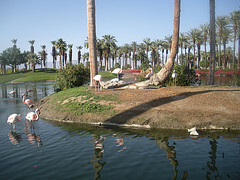 What a beautiful time Misty and I had in Palm Springs at the end of April! We were there to run the Technology Pre-Conference track at the 20th annual California WIC Association’s Annual Spring Conference and Trade Show on April 29! Here are the training materials used during the Building Healthy Communities Coordinators Convening on Feb 16-Feb 17, 2012 at TCE in Los Angeles. We enjoyed meeting everyone and hope you found the day to be useful!